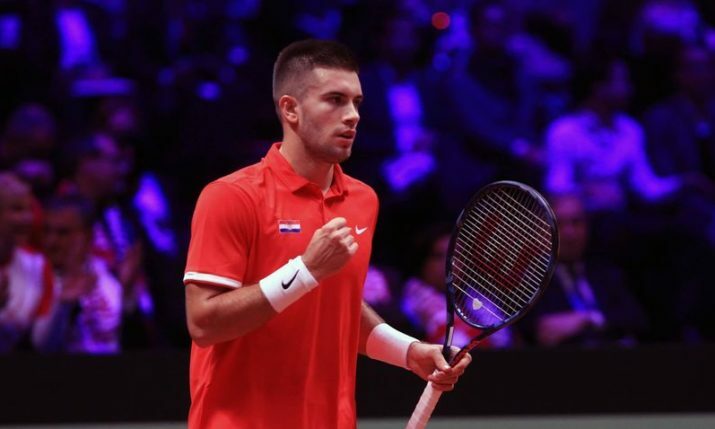 MELBOURNE 19 January 2019 – 22-year-old Croatian Borna Ćorić has reached the last 16 at the Australian Open for the first time in his career after a four-set win over Serbian Filip Krajinović on Saturday. Ćorić, who had never past the first round in Melbourne, came back from one set down to knock out Krajinović in just under two hours and forty minutes 2-6, 6-3, 6-4, 6-3. Borna’s back & Croatian fans are pumped! @borna_coric breaks and consolidates with a hold. He’s up 3-0 in the second vs. #Krajinovic after dropping the first 2-6. Krajinović took the opening set 6-2 after breaking Ćorić in the third and fifth games of the set. Ćorić came back and broke his opponent at the start of the second set which was enough to take the set 6-3. It was a similar story in the third set before the Croatian took the fourth seat 6-3 after two early breaks. Ćorić, who is the tournament’s 11th-seed, now joins fellow Croatian Marin Čilić in the last 16 and will play the winner of the Lucas Pouille v Alexei Popyrin match. Ćorić has beaten Belgium’s Steve Darcis and Hungarian Márton Fucsovics in what has been his best ever run at the season’s opening Grand Slam.